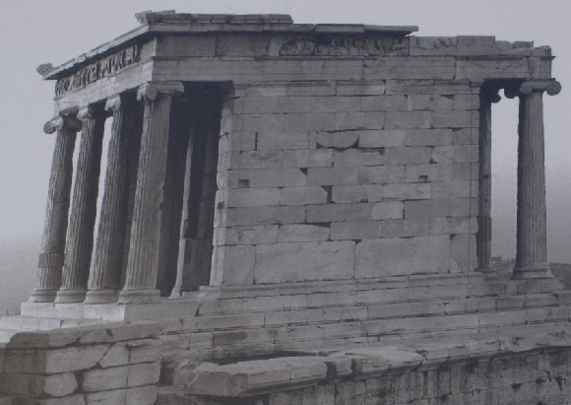 The temple of Athena Nike has been restored twice in the past: for the first time between the years 1835 and 1845 and for the second time between 1935 and 1940. The serious structural problems arising from previous interventions, together with a revision of restoration principles in recent years, imposed the total dismantling of the temple. After dismantling, the architectural members are conserved and, when necessary, restored with fillings of new Pentelic marble. The iron clamps used in previous restorations are replaced with new ones of titanium. The aim of the current restoration project, in process since 2000, is to correct the inadequacies of all the previous restoration projects and to reinstate the building's original geometry.